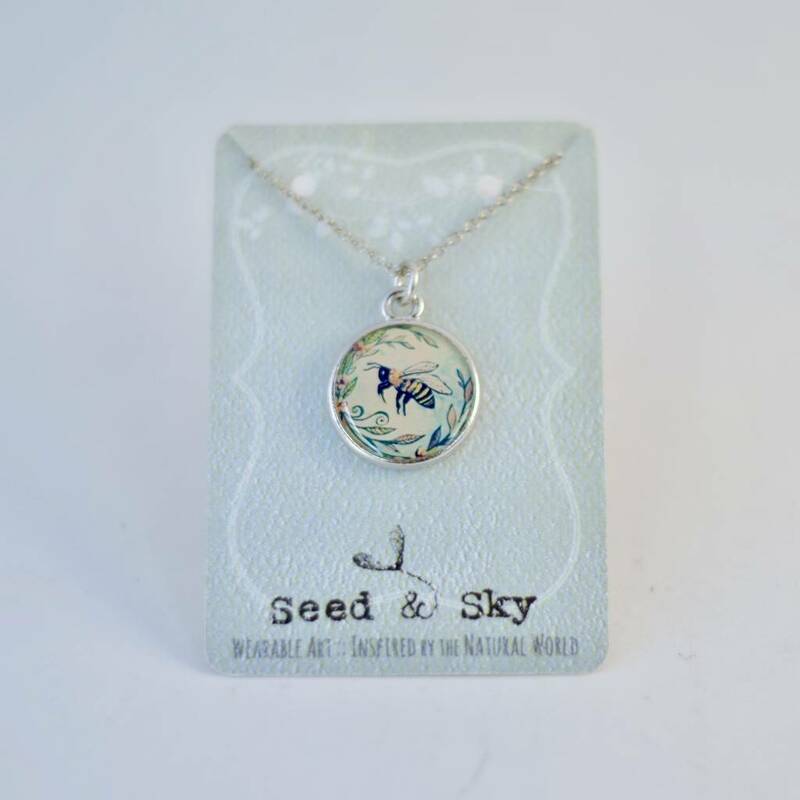 Celebrate your love of the magical honeybee with this sweet collection, complete with a nostalgic water color of a honeybee in flight, surrounded by a floral wreath, and a sprout engraving on the back of the pendants. 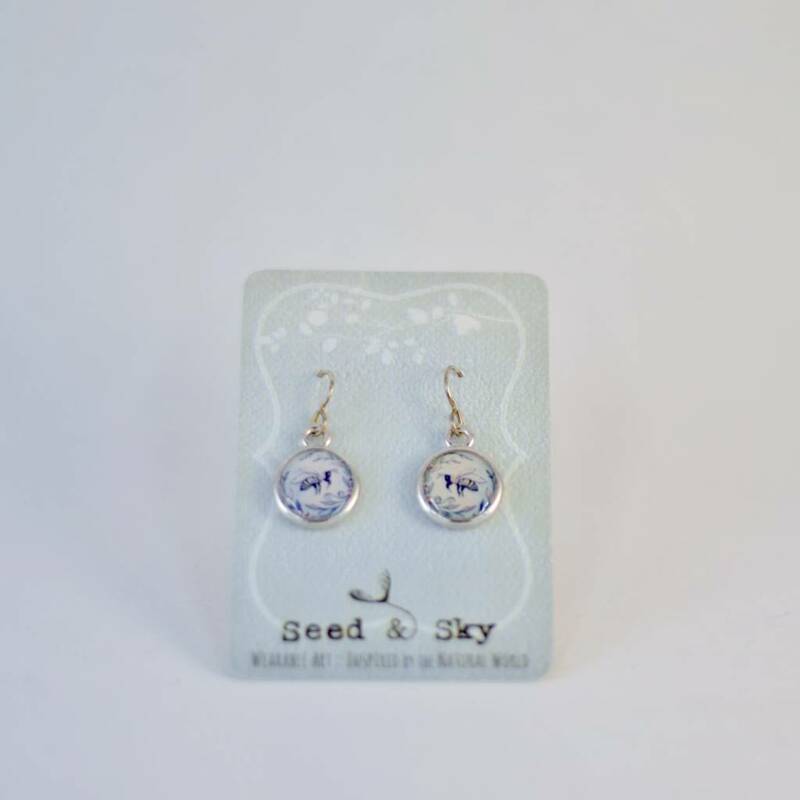 Measurements: The earrings are 1/2" in diameter, the pendant 1" in diameter. The chain is 18" long, and nickel free. The silver earwires are 925 sterling, and the bronze earwires are hypoallergenic niobium. 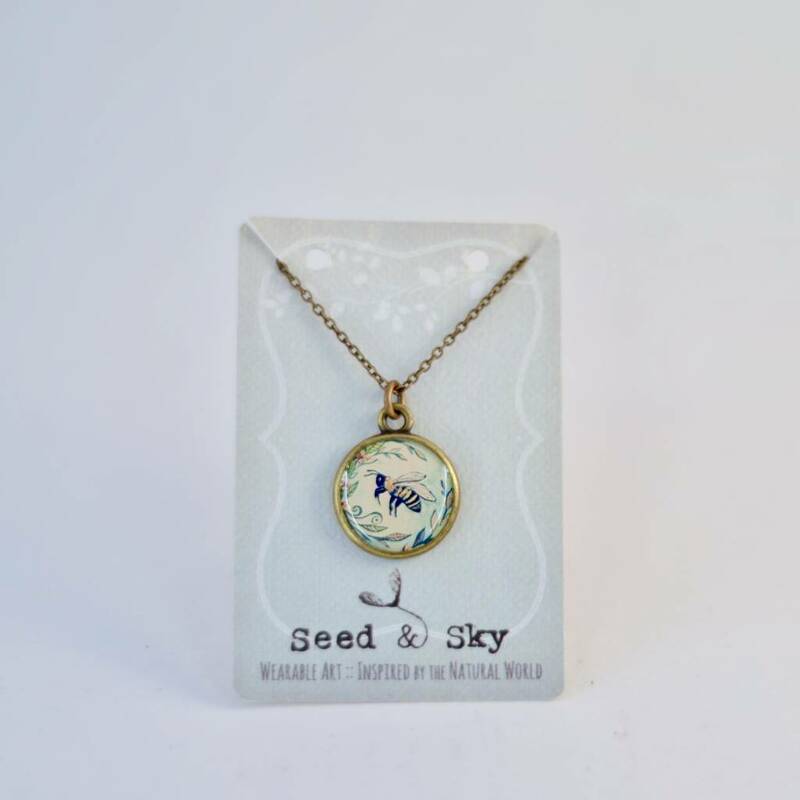 Seed & Sky is a Southern based design company located in Asheville, NC, offering wearable art created using miniature archival prints of original artwork. All materials are 100% USA sourced.